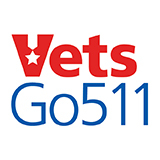 This Veteran’s Day, check out VetsGo511.com, a new mobile-enabled website brought to you by the Los Angeles County Service Authority for Freeway Emergencies (LA SAFE) and Metro. VetsGo511.com is a one-stop source for veterans and others in the military community to easily obtain information on resources for work, education, healthcare, and other vital services in the greater Los Angeles metropolitan area; and it provides improved transportation services options to get them there. VetsGo511 is part of a larger effort by Metro, LA SAFE and the Federal Transit Administration to improve the transportation experience for veterans through the Veterans Transportation and Community Living Initiative (VTCLI) federal grant program. The VTCLI program brings together transportation service providers to tackle veteran and active military mobility issues by bridging the gap between transportation providers, human service agencies, governmental veteran and military service providers, as well as non-profit veteran and military family support organizations.